There are various ways that you can increase your open rates. If you are a marketer for a company, chances are you’ve already explored the avenues of email marketing. Here at eTargetMedia, we strive to maximize your email marketing results with targeted lists that help you reach responsive customers that are likely to purchase your products and services. 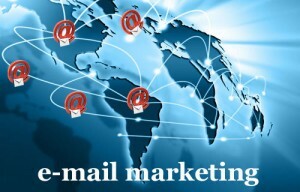 You may be struggling to obtain a new customer base and if you have not implemented email marketing successfully, you may believe that email marketing is not right for you. Fortunately, we’ve provided some strategies that will help you get back onto the right track. It’s time for you to turn to the wonders of personalization. By practicing this strategy, you’ll develop a relationship with the buyer and learn about their interests and what appeals to them. For example, one of your clients purchased a blazer from your store. You might push similar products and styles in your next email that would appeal to them. Keep your subject lines between 60 to 70 characters. Anything after 70 characters is considered the “dead zone”, and according to studies there are significantly less click throughs and open rates with long subject lines. The optimal deployment time for email campaigns is in the morning and during the day. Tuesdays and Wednesdays are the most popular days for opening emails. We at eTargetMedia want you to reach out to the consumer at a time where they’ll actually look at your emails. This will result in a higher open rate and potentially more business for your company.